Description of property Lot 8 DP 7651 Daku Rd. Naveria Heights Savusavu Owner/ Vendor: Tobias Raff The property is located just below the ridge south of Savusavu in a semi-rural setting. Access is via a private road about five minutes from town. The dwelling is a short gravel driveway down from the access road with the building facing NW. The building site has been chosen carefully with the local weather conditions in mind. In winter the ridge behind the house provides shelter from the trade winds, yet enough breeze flows through the cleared drive to ventilate the site well. In summer the light Westerly breezes add ventilation and the North-facing aspect keepps the house dry. 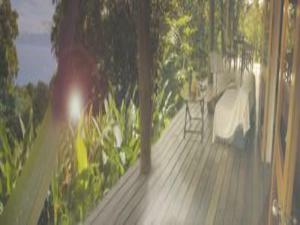 The one acre property is mostly kept in native bush with mature trees that provide excellent stability for the land an wind shelter for the house in addition to complete privacy. A window has been cleared to provide an un-obstructed view over the bay and the far ranges. The dwelling is a Japanese-Hawaiian cyclone spafe pole house design of 12x 12 meters. This includes a deck of vessi hardwood on three sides and a concrete pad in the rear. The floors inside are also Vessi hardwood and the siding is of Damanu hardwood ply and battens all treated with exterior decking oil. The parameter poles are well set in concrete, exterior beams and rafters are bolted and secured with cyclone straps to the framing. The framing has been additionally treated with ?Tim bor? insecticide and fungicide for longevity in the tropics. In all the construction exceeds cyclone certificate requirements. The design of the wide overhangs make the house comfortable and dry to live in all tropical weather conditions. Water supply is by guttering and three times 700l water-tanks stopred under the house on a concrete pad. A water filtration system has also been put in place. Power has been put in from the town supply and telephone ? internet is supplied via ?Ezytel?. A septic tank has been sunk into the groupnd further down the slope. The interior is a one room open living design with the kitchen, bathroom and toilet arranged around the center post. French doors provide a generous indoor outdoor flow and excellent ventilation. The inside lining is also Damanu ply painted in a drift wood stain. The ceiling rafters are exposed and the ceiling is also lined with ply inside and out. Two generous walk-in closets act as room dividers. 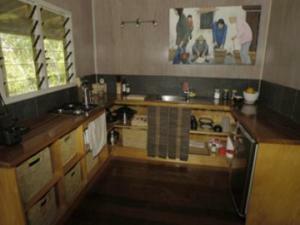 The kitchen is of a U-shape design with a varnished timber counter four-burner gas stopve and fridge. All windows are aluminum louver type with insect screens on the outside. A complete set of cyclone shutters is stopred and ready to be installed under the house in accordance with cyclone insurance requirements. Proper drainage trenches with ?nova coil? and river pebble have been installed on the drive and around the house. Weed mat has been installed to keepp vegetation and insects to a minimum under the house. The garden in front of the house is mixed tropical pemaculture and has been designed to be virtually maintenance free. This is an advertisement maintained by Private Owner Reference:Private sale.The advertiser is wholly responsible for the accuracy of the ad information published on Globespanproperty.com and we make no representation as to the accuracy or currency of the information contained within this website. The photos and details content is the sole responsibility of the owner or agent of the property displayed. Vanua Levu Fiji Real Estate Agents. 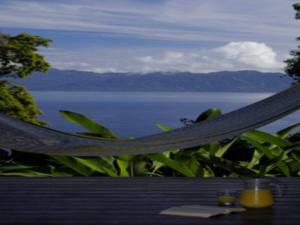 A dedicated website for Savusavu Property Fiji. Vanua Levu Real Estate Agents Directory. FSBO For Sale By Owners Direct. Private Owners Selling Privately. Home Sellers. For sale by owner listings specialising in private house sales overseas. 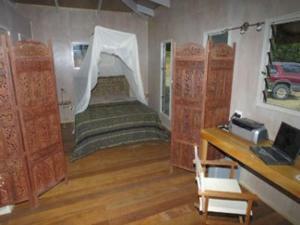 Naveria Hights Properties Savusavu Bungalow.